In his news release, Jesse Slome, executive director of the American Association for Long-Term Care Insurance, details the total of long-term care insurance claims paid in 2017. It’s $9.2 billion. Sounds like a lot, doesn’t it? Well, it’s not. It’s barely a fraction of the estimated costs. According to a report published by the SCAN Foundation, private long-term care insurance accounted for less than 1% of the nearly $725 billion spent annually on long-term care. State and federal government programs through Medicare, Medicaid and other government agencies fund about 29%. Families’ out-of-pocket costs and unpaid expense funds the remaining 70%. We could go on and on. As baby boomers age, it’s only going to get worse without a plan funding long-term care expense. 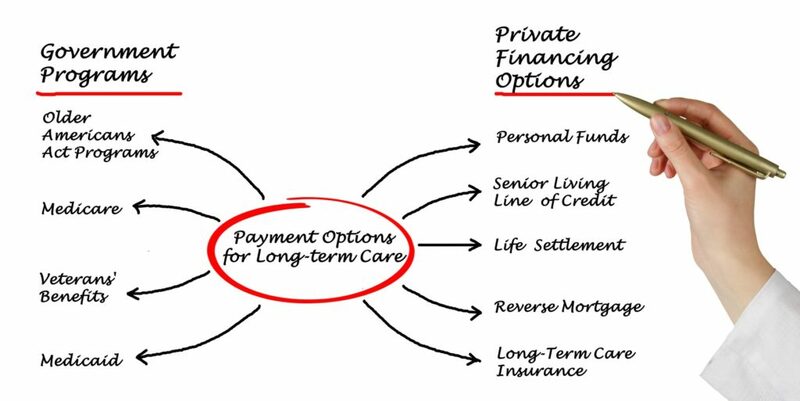 For most Americans there are just three funding options: self-fund, private insurance or government assistance. Read more about funding here.